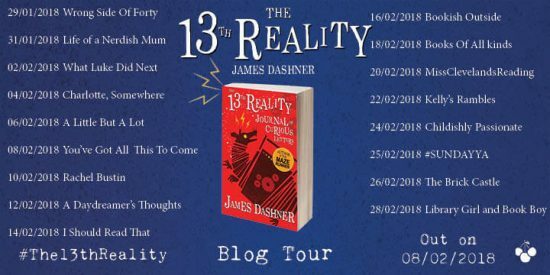 Today it’s my stop on the blog tour for The 13th Reality Journal of Curious Letters by James Dashner. This book is unlike any others I’ve read recently. The intrigue, mystery and suspense – it’s hard to believe it’s tween/child’s reading book! Before I get onto the review I must tell you a little about The 13th Reality Journal of Curious Letters. “How lucky that you’ve found my message! I’m sure by now that most people have heard of Harry Potter. The 13th Reality does kind of remind me of the Potter books with the magic, the age of the characters and intrigue involved, but for me that’s where the similarity ends. In this book you will find Quantum Physics, not that I understand it! Tick is a fantastic little geeky character who you just want to help. I thoroughly enjoyed following him on his journey of solving the riddles. In fact I was trying to solve them myself as well! But I’ve never been very good at riddles so didn’t get very far. Tick has a great relationship with his dad and asks him anything and everything. Which to me in a child’s/tween book is encouraging letting them know not be afraid to talk. 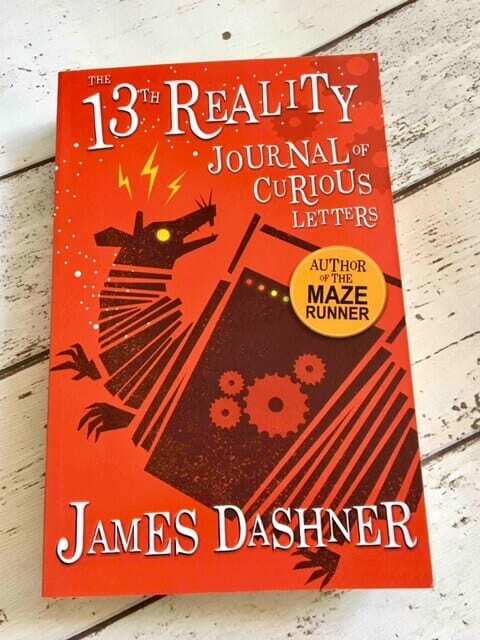 The 13th Reality Journal of Curious Letters has very short chapters of only a few pages each, but I think this will help to keep a tween/young adult interested. Overall I think it’s a great little read, for adults as well as the tween generation. It gathers a much faster pace from the middle to the end of the book. Here are the other blogs on The 13th Reality blog tour. Thanks for stopping by today, I hope you enjoyed this review. *I was given a copy of The 13th Reality Journal of Curious Letters from Sweet Cherry Publishing in exchange for this post. All thoughts and opinions on my review are my own.